The National Institute of Virology, Pune confirmed on Sunday that the 11 deaths in Kerala were due to Nipah virus (NiV) outbreak. The epicentre of the outbreak is Kozhikode where seven people lost their lives. Rest four died in Malappuram and at least 10 are being treated in different hospitals across Kozhikode. The outbreak began with the death of three members of a family in Kozhikode city in the last fortnight. The deceased include a 50-year-old woman and two brothers in their twenties. After the confirmation from the institute, the Centre sent a team to Kerala. Union Health Minister JP Nadda had tweeted on Sunday about team leaving for the coastal state. The deadly virus can infect pigs or any other domestic animals. However, the natural hosts of the virus are fruits bats. NiV was discovered when it caused a serious outbreak of viral encephalitis among pig farmers in Malaysia in 1998. The disease was named after the village Kampung Sungai Nipah, where the outbreak took place. 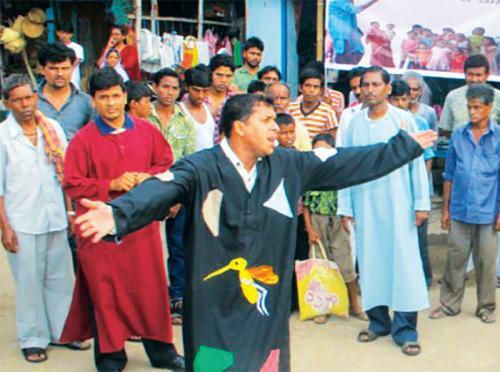 Since then, the virus has returned several times in Bangladesh and several parts of India. The recent outbreak is another example of virus transferring from animals to human beings. The sudden spurt of zoonotic diseases in the last few years has caught the world unprepared. It includes Ebola hemorrhagic fever and microcephaly caused by Zika virus. This was the major concern of G7 leaders when they met in Japan in 2016. They had requested the World Health Organization (WHO) to bring reforms for these outbreaks. (The following story was first published in Body Burden 2015, under the headline 'Out of the jungle'). The same year, WHO highlighted that 75 per cent of new diseases that have affected humans over the last decade have been caused by pathogens originating from an animal or from products of animal origin. Many of the diseases have potential to cover long distance and affect the world. The apex body claims to engage in cross-sectoral activities to address health threats at the human-animal ecosystem interface. The small house of Nagaratna and Suresh N S, a young farmer couple, is surrounded by the forests of the Western Ghats. They live in Bandikkoppa village in Thirthahalli taluk (block) of Karnataka’s Shivamogga district. In January 2014 both of them fell ill. They thought it was flu but the fever did not subside even after five days. “So we decided to visit the primary health centre,” says Nagaratna. At the health centre, they were referred to the government hospital in Thirthahalli taluk, which sent their blood samples to the National Institute of Virology (NIV) in Pune. Lab tests confirmed that the couple had Kyasanur forest disease (KFD), a viral haemorrhagic fever similar to Ebola and dengue. The couple was among the 137 people who suffered from the disease in Karnataka during January-May that year. Except eight, all were from Thirthahalli. It also killed a forest guard in the area. This is the first time since 2003 that such a high number of KFD patients was reported from the state. In 2003, over 300 cases were reported. KFD is not a new disease in the district. 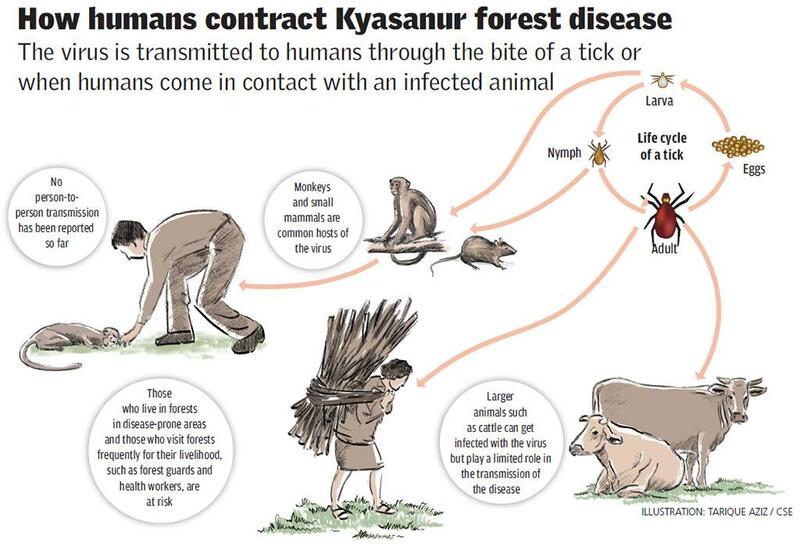 The first outbreak was reported in March 1957 after a number of monkeys died unnatural deaths and a mysterious fever engulfed the residents of Kyasanur, a forest village in Soraba taluk that gives the disease its name. Since then the state has seen frequent outbreaks, but the disease had been restricted to just five districts in the Western Ghats. However, NIV director Devendra T Mourya says there was always a suspicion that KFD might be present in other states as well. He says NIV has in the past found the antibodies against this pathogen in samples collected from Gujarat, Rajasthan, Maharashtra, West Bengal, Tamil Nadu, and Andaman and Nicobar Islands. Mourya’s fears have been proven right as cases of KFD have recently been reported in new areas. In the past couple of years a few cases have been reported from the reserved forests of Malappuram district of Kerala, Nedumgayam reserved forest range and Mudumalai Tiger Reserve in Tamil Nadu, and Karnataka’s Bandipur National Park. Little is known about the reasons behind the spread of the disease because there is hardly any research on it. But it is established that deforestation could be the primary reason as it increases the contact between humans and wild animals. Shivamogga district alone lost 4,000 hectares of forest between 2001 and 2007. There is evidence that global warming that increases population of insects like ticks that harbour the virus could also lead to the spread of the disease. Even within a taluk, outbreaks are not reported from the same area. “The disease keeps moving from one area to another during different epidemic seasons,” says Rajesh Surgihalli, deputy director, Virus Diagnostic Laboratory, Shivamogga, and the state’s nodal officer in-charge of monitoring KFD. Monkeys are the primary carrier of the disease. Ticks (Hemaphysalis spinigera) that live on them harbour the pathogen and pass it among the monkey population (see ‘How humans contract Kyasanur forest disease’,). “Monkeys are sure to die once infected,” says Prakash K S, health officer of Thirthahalli. When infected monkeys die ticks drop from their bodies to the ground, thereby generating hot spots of ticks that spread the virus. It is transmitted to humans through the bite of a tick or when humans come in contact with an infected animal. The outbreak of the disease in humans generally occurs in the dry months, from January to May. Once a person is infected by the virus, it takes three to eight days for symptoms to appear. “Patients may experience abnormally low blood pressure, and low platelet, red blood cell and white blood cell count,” says Prakash. Most patients recover within a week or two. But the illness has a second phase. Only 10-20 per cent patients reach the second phase. “The second wave of symptoms begins from the third week of the illness. These symptoms include fever and neurological disorders,” says Surgihalli. No effective treatment exists for the disease and though a vaccine is available since 1989, it is not popular. At Thirthahalli, only 30 per cent of the people are covered under the vaccination programme. While the vaccine cannot prevent the disease since its efficacy is only 65 per cent, it can completely prevent the second stage of the disease. “That means, the vaccine can prevent deaths,” says Surgihalli. Despite vaccination drives by the government, KFD cases in the state increased between January 1999 and 2005, says a 2006 paper published in Reviews in Medical Virology. The lead researcher, Priyabrata Pattnaik from the Defence Research and Development Establishment in Gwalior, writes that “there is clearly a need for developing an alternative vaccine as well as a rapid diagnostic system for KFD”. Till 2014, state health department guidelines allowed KFD vaccination only for the six to 65 age group. The guideline was based on the assumption that children under six and adults above 65 will not visit forests for work. The assumption is meaningless because many disease-prone areas lie within forests or in their vicinity. The authorities have now changed the guideline to include those above 65 in the vaccination programme. But the under-six group is still not vaccinated. The reason: the vaccine has not been tested for its effects on children even though it has been in use for 25 years. Though the disease is endemic in Karnataka, none of the government hospitals in the state has laboratories that can carry out tests to diagnose KFD in patients. For conducting the required tests, laboratories need high biosafety facilities since infection is possible. Only one hospital, the private Manipal Medical College, has blood test facilities for KFD in the state. “We are in the process of setting up facilities in the Shivamogga lab,” says Surgihally. Experts say the government has neglected the disease because it was confined to a few areas and has a low fatality rate for humans. Pattnaik, in his paper, writes that the emergence of KFD in various states emphasises the need for nationwide surveillance among animals and humans. KFD is just one of the many zoonotic diseases—which transmit from animals to humans—occuring across the world. The devastating 2014 Ebola outbreak in West Africa can be traced back to a two-year-old boy from a small village in Guinea. Emile Ouamouno, known to the world as “patient zero”, who died on December 6, 2013, was the first casualty of the deadly virus. Within a month, Emile’s mother, sister and grandmother all succumbed to the virus. Since the beginning of 2014, Ebola has killed more than 11,312 (till October 11, 2015) people in Guinea, Senegal and Liberia, and the epidemic is yet to be conclusively thwarted. The origin of the scourge and how Emile came to be infected is still a mystery. What is known for certain is that the disease was contracted from an animal. Fruit bats, being natural reservoirs of the Ebola virus, have been zeroed in on as prime suspects (see ‘Tackling Ebola’). This is not the first time that a disease has been contracted from animals and it shall not be the last either. For millennia, humans have feared the inevitable but unpredictable devastation wrought by infectious diseases emerging from forests and transmitted through wild animals. But there has been a stark increase in the incidence of emerging infectious diseases (EIDs) among both humans and domesticated animals in the recent past. Over the past 70 years, more than 300 zoonotic diseases have been observed. Notably, between 60 per cent of all human diseases and 75 per cent of all EIDs among humans originate in animals. According to a 2012 report of the Department for International Development, UK, that mapped zoonotic diseases, zoonoses are responsible for over 2.7 million deaths and over 2.5 billion cases of human illness every year. Zoonoses are increasingly being considered a threat to the stability of human societies. The increase in the incidence of zoonoses, to a significant extent, is a reflection of the change in our interactions with our forest ecosystems. The development of agriculture brought an end to an exclusive hunter-gatherer way of life. Despite the fact that today there are no known populations that live purely as hunter-gatherers, it is reported that in 62 developing countries, people obtain more than 20 per cent of their nutrition through wild meat and fish. Populations living in and around forests also depend to a great extent on the forests as a source of livelihood. Nevertheless, the need for food drove the development of agriculture, which altered landscapes and populations. This changed the nature of human contact with forests. 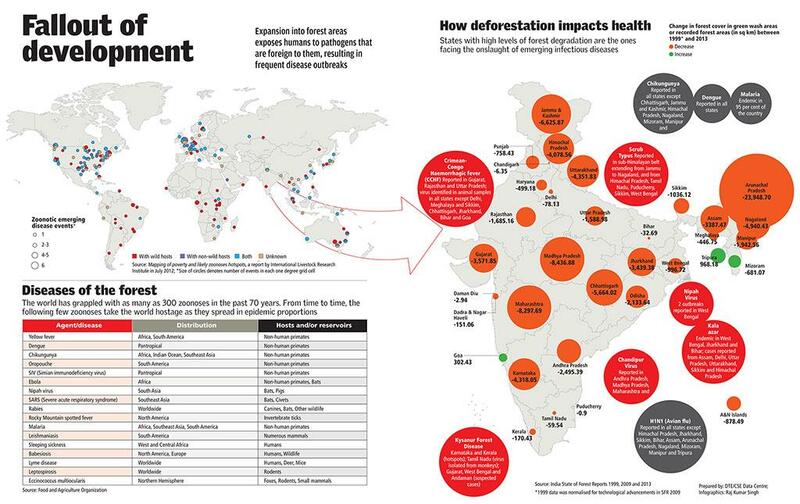 India is particularly vulnerable to many forest-originated diseases. Some 2,474 villages are inside India’s forests, while some 170,000 villages are around forest areas. More to it, 220 million people depend on forestry for survival. This means a significant number of people interact with forest in their day to day lives. India’s poorest also reside in the forested areas thus having less economic capacity to fight disease outbreaks. In these areas, public health facilities are sparse and most of the residents have to travel long to access them (see ‘Fallout of development’,). Research shows that changes in land use, including deforestation and forest fragmentation, urbanisation and intensification of agriculture, have contributed greatly to the rise in the incidence of infectious diseases. “Indeed the current increase coincides with accelerating rates of tropical deforestation in the past several decades. Today, both deforestation and emerging infectious diseases remain largely associated with tropical regions but have impacts that extend globally,” states a paper in Unasylva, a journal of forestry and forest industries published by the Food and Agriculture Organization (FAO). As mentioned earlier, about three-fourths of all infectious diseases have, at some point, been contracted from animals. There are about 250 EIDs, about 15 per cent of which currently show a direct association with forests. Some EIDs were originally transmitted from animals to humans but have now escaped the sylvatic cycle, where the pathogen spends some time in an animal before being transmitted. These diseases have adapted to a human-sustained cycle independent of forests. While speaking of pathogens escaping the forests, the foremost microbe that springs to mind is HIV, which causes the devastating AIDS. The disease is said to have emerged from chimpanzees and gorillas in Central and Western Africa. Before adapting to human-to-human transmission a little over 30 years ago, HIV’s transmission cycle involved a primate. According to the WHO, an estimated 39 million people have died worldwide of AIDS-related causes between 1981 and 2013. By the end of 2013, some 35 million people were still infected with HIV and over 2 million people were getting infected every year. According to the National AIDS Control Organisation, more than 2 million people in India were suffering from HIV/AIDS in 2014. What makes HIV a striking example of EIDs is the global scale at which it proliferated. AIDS, in many ways, is the world’s first truly global epidemic with an unprecedented rate and scale of incidence. The scope and speed of HIV transmission highlights the potential of EIDs to spread beyond borders and become a significant threat to human health and wildlife. 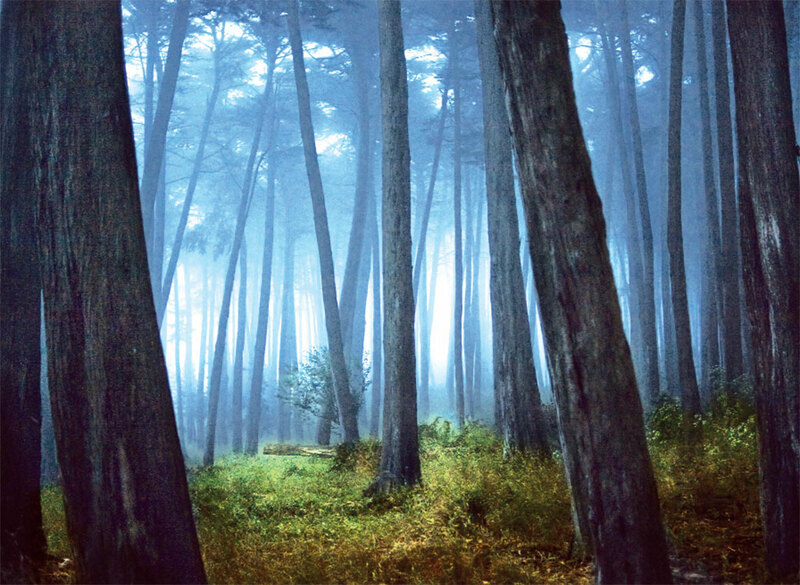 The diseases currently associated with forests can, in several ways, be seen as a reaction to change in the relationship between humans and forests. Changes in forest cover and land use increase human contact with pathogens that were earlier contained within forests (see ‘How deforestation impacts health’, p41). The impact of such pathogens is exacerbated in the case of migrant and alien populations that lack previous exposure. A rapid increase in population provides a ready pool of hosts for pathogens and enables adaptation. The majority of the diseases currently associated with forests involve four components in their life cycle—a pathogen, a vector that carries the pathogen, the reservoir species, which acts as another source of infection, and humans. In terms of association with forests, yellow fever (a viral haemorrhagic disease transmitted by infected mosquitoes) is arguably the best-studied disease. Transmission of the virus that causes yellow fever is maintained in a cycle involving arboreal monkeys and mosquitoes. Expansion of human settlements into forests has been noted as a major causal factor in yellow fever outbreaks. The first recorded outbreak in Kenya in 1992-93 is attributed to a settlement that hunted and collected firewood and water from the forests. The yellow fever virus has demonstrated rapid adaptation abilities where the transmission cycle has escaped direct association with forests. A sustained transmission cycle between humans and mosquitoes in urban and semi-urban areas has been observed during large outbreaks. Environmental changes through deforestation, forest fragmentation, intensive agriculture, road and canal construction and other developmental activities result in significant alteration of local ecosystems. By extension, the disease is affected through changes in density, distribution, breeding places and incubation periods of vectors and pathogens. The observed linkages between deforestation and malaria incidence make for an interesting case study of the changes in vector ecology (see ‘Malaria’s complex forest link’). Deforestation and forest fragmentation have contributed directly and indirectly to the steep increase in the rates of extinction among wild animals in the past 50 years. The demise and rise of species due to human activity can have a cascading effect that threatens biodiversity, which is known to act as a buffer against the spread of pathogens because in a diverse ecosystem the concentration of reservoir species diminishes. The degradation of biodiversity, on the other hand, results in a potential flourish of the reservoir species which, in turn, implies an increase in disease risk. Take Hantavirus, for example. The link between its outbreaks and biodiversity has been well studied. Hantavirus, named after a river in South Korea where an early outbreak was observed, has a natural reservoir in murid rodents. The virus causes the haemorrhagic fever with renal syndrome in many parts of Asia and the Hantavirus pulmonary syndrome (HPS) in the Americas. The infection spreads through bite, scratch or faecal aerosols of rodents carrying the virus. HPS is particularly feared because of its high rate of fatality, which is around 40 per cent. According to a 2010 research paper published in Nature, host species in which pathogens multiply rapidly to high levels providing an important source of infection for vectors, are generalist species that invest less on immunity and more on adaptability to a wide variety of habitats and food sources. By contrast, specialist species, which act as buffers against pathogen proliferation, are highly adapted only to one specific habitat and food type but invest heavily in their immune system. A loss of biodiversity due to a change in the habitat often results in a simplification of the environment through elimination of specialist species and overpopulation of generalist species. Murid rodents that carry the Hantavirus are generalist and can adapt to varied and changing ecosystems. Habitat change due to forest fragmentation in the US and Latin America have been linked with the emergence of HPS. A study conducted in Panama and published in the Annals of the New York Academy of Sciences concluded that the increase in local distribution and abundance in Hantavirus reservoir species can be attributed to the changes in the environment due to deforestation in tropical areas. In areas with compromised biodiversity, the prevalence of pathogens in the blood of reservoir species was found to increase threefold as compared to undisturbed habitats. Multiple studies have pointed to habitat fragmentation and biodiversity loss to explain the emergence and transmission of novel diseases, such as Lyme disease in the US and Europe, to humans. The disease is caused by a bacterial pathogen, Borrelia burgdorferi. White footed mice and white tailed deer have been identified as natural reservoir species for the bacterium, which is transmitted by tick bites. Diminishing biodiversity and the lack of large predators have helped Lyme disease to become the most prevalent vector-borne disease in the US. Habitat destruction can also force species to venture into urban locales in search of food. In the first outbreak of encephalitis in Malaysia in 1998, fruit bats, which act as vectors for the Nipah virus, were displaced from their natural forested habitat due to severe deforestation and fires associated with the 1998 El Niño event. The bats relocated to nearby pig farms where they fed on fruit trees. Persons who contracted the disease were closely associated with pigs, which were infected through contact with bats and bat faeces. The outbreak killed more than 100 people and caused an estimated loss of US $500 million through its impact on the Malaysian pig industry. The Nipah virus outbreaks observed so far in South and Southeast Asia have been relatively short-lived and contained in scale. Visceral leishmaniasis or kala azar, caused by protozoan parasite Leishmania donovani, is another disease, which is now spreading to new areas in India. Kala azar is transmitted to humans through sandflies (Phlebotomus argentipes). Incidentally, humans are the only known reservoir of the pathogen. The disease targets skin, liver and spleen, and manifests in fever, apetite loss, emaciation, anaemia and, in extreme cases, death. It has caused 341 deaths in the country between 2009 and August 2015, according to the National Vector Borne Disease Control Programme (NVBDCP). The extent of the disease and frequency of its outbreaks are typically higher in the regions around the Gangetic plains. According to NVBDCP, the burden of the disease is mostly felt by “poor socio-economic groups living primarily in rural areas”. An estimated 165.4 million people in 54 districts in the states of Bihar, Jharkhand, Uttar Pradesh and West Bengal that are deemed endemic are at the risk of contracting kala azar. A related disease of visceral leishmaniasis that is also making its presence felt is cutaneous leishmaniasis spread by P salehi and P papatasi. Desert rodents in rural areas of Rajasthan and dogs in urban areas act as reservoirs of the parasite. However, in recent years the menace of leishmania has found its way to other states such as Himachal Pradesh, Uttarakhand and Assam and Kerala, where the disease has traditionally not been observed. This has led to postulations about possible diversification of disease reservoirs. The role of deforestation and increased contact between humans and forests due to construction in erstwhile forested lands have also been hypothesised as possible reasons for the emergence of the disease in new regions in recent years although there has still been no conclusive findings in this regard. Migratory impacts on proliferation and adaptation of pathogens can be much more severe. Consider avian influenza, commonly known as bird flu. It is caused by diverse variants of the H5N1 virus. The primary mode of transmission is bird to bird, although bird flu has adapted to humans with increased human-bird contact since the advent of large-scale poultry farming. Since birds do not obey geographic borders, the virus has caused flu globally. 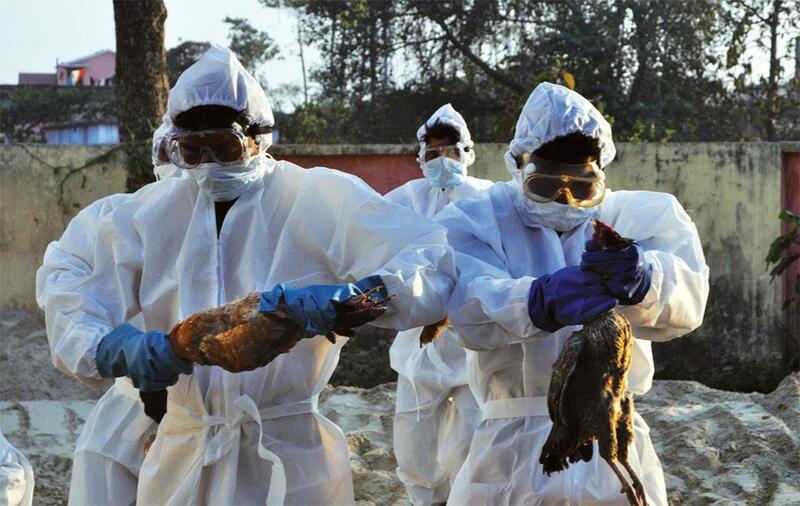 In 2014 alone, bird flu outbreaks were recorded in over 35 countries. The virus is notoriously difficult to track owing to its adept adaption. Different strains of the virus can interact with each other and exchange (Contd. on p48) chromosomes to create new stable variants that can be fatal to humans. One such strain, H5N1, has caused over 143 cases and 42 deaths worldwide between January and October 2015. In total, there have been at least 844 confirmed cases and 449 deaths among humans due to the H5N1 strain of avian influenza since 2003 when the disease was first identified in human beings. As much as the pathogen and vector ecology is responsible for zoonotic diseases, changes in human ecology are responsible for the speed of transmission and the global scope many diseases have recently acquired. Construction of roads and dams in recently cleared forest areas and rapid urbanisation often bring people, especially migrant populations that are immunologically naïve, in close contact with pathogens. The spread and persistence of chikungunya serves as a classic example of how immunologically naïve populations can sustain an infectious disease (see ‘Shifty chikungunya’). The fever is transmitted by Aedes mosquito. Chikungunya is thought to have originated in Africa, where the virus is maintained in a sylvatic cycle between forest-dwelling mosquitoes and non-human primates. Outbreaks among humans have been observed to be sporadic and short-lived. In urban centres across Africa and Asia, though, the virus is sustained by immunologically naïve human hosts. The most recent outbreak of chikungunya happened in Kenya in 2004 and spread to several Indian Ocean islands, India and Southeast Asia. The outbreak in India started in 2006 and has affected several million people since then. In India large populations of immunologically naïve humans have helped sustain the virus cycle. In 2015 Karnataka saw 16,235 cases of clinically suspected chikungunya. Telangana has seen nearly 1,500 cases. This is in contrast to outbreaks in other affected countries and islands with a limited pool of human hosts. These areas did not report cases once the epidemic was over. During the epidemic in India, the virus spread from India to Italy through a traveller and was introduced into the local species of Aedes mosquitoes. It was then sustained in a mosquito-human-mosquito transmission cycle in the Mediterranean country. Increased speed and scope of mobility due to globalisation has amplified the extent of zoonoses. Proximity to forests or close contact with animal vectors or reservoirs is no longer a limiting constraint on the reach of a pathogen. The case of severe acute respiratory syndrome (SARS) exemplifies the situation. The SARS virus originated in wild animals in southern China. The virus mutated to adapt to nearby human settlements and jumped to humans in a few closely located towns and villages and then spread to the urban area Guangzhou. 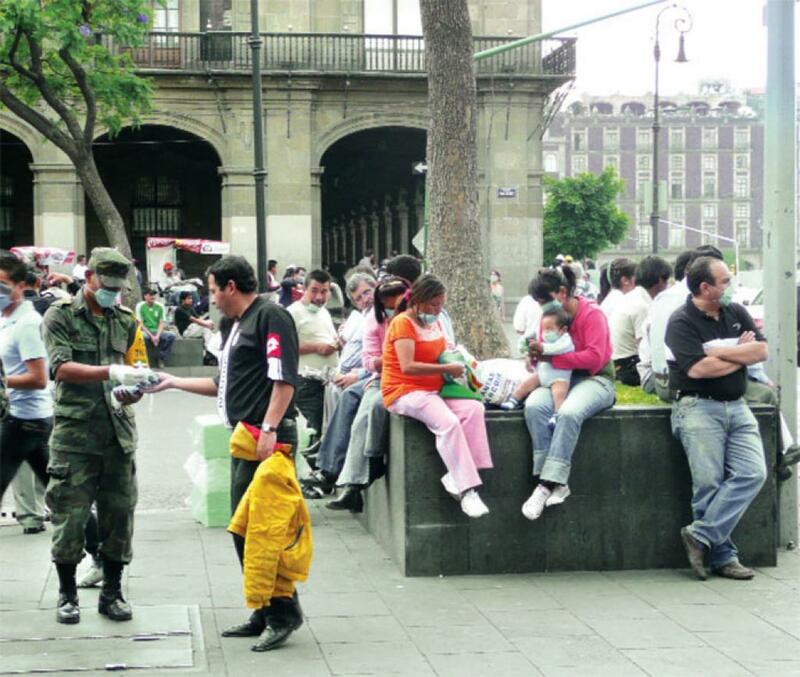 The crowded region facilitated development of the disease into an epidemic in late 2002. Early next year, the virus spread to Hong Kong through a doctor from Guangzhou. The island city served as the hub for what would become a global pandemic. The SARS pandemic started in February 2003 and within a few months it had spread to over 20 countries across the Americas, Europe and Asia. By the time it was contained, 8,000 cases and 774 deaths had been reported. The total losses related to the global outbreak were estimated to run into billions of dollars. Despite the potency of the virus and extent of the spread, SARS was curtailed much sooner than expected. It has been argued that the SARS pandemic was a milestone in disease management because it moved disease response beyond national sovereignty. It took close coordination between several state and non-state actors under the guidance of WHO to get the disease under control. The pandemic is a stark reminder of how global mobility for travel and trade has rapidly increased the extent to which humans can act as carriers of deadly infections. Diseases born in forests are no longer restricted to forests. As humans have altered forests to suit their needs, many organisms in forests have also adapted to humans. Human mobility provides these organisms gateways to unchartered territories. Coping with the unprecedented rise in the risk of pandemics and epidemics requires a holistic approach to medicine that treats human health as part of environmental health. Suppression of SARS was possible only through coordinated, multidisciplinary and multi-institutional efforts. Similarly, if we are to address zoonotic outbreaks and emerging infectious diseases, there must be a proactive approach to restore wildlife health. It will also require close monitoring of how the increasing ecological footprint of humans is affecting health and disease dynamics. THE SPREAD of the Ebola virus has raised several questions about the world’s preparedness to deal with emerging infectious diseases. The dreaded virus, which was first reported in 1976, bleeds 50 per cent of its victims to death. Yet clinical trials of potential drugs were not done because the disease remained restricted to Africa. Though the latest outbreak began in December 2013, Ebola came into the limelight only after it spread to developed countries like the US and Spain. According to the WHO, about 28,500 people had been infected and 11,312 killed till October 11, 2015, in the West Africa outbreak that has spread to 10 countries—Guinea, Liberia, Sierra Leone, Nigeria, Senegal, Mali, Spain, Italy, the UK and the US. The epidemic helped speed up work on the Ebola vaccine. Interim analysis of the Guinea phase III efficacy trial shows that the vaccine VSV-EBOV, developed by Merck, Sharp & Dohme, is highly effective—as much as 100 per cent—against the disease. Effective preparation can help check Ebola’s spread. “We may not be able to prevent the start of an outbreak, but if we have an adequate surveillance and response system, we can quickly step in and quash it before it expands,” says Martin Meltzer, lead researcher at the Ebola Response and Modelling Task Force, Centers for Disease Control and Prevention, USA. Nigeria and Senegal have managed to rid themselves of Ebola by setting up an effective surveillance and response system. “The cost of setting up such a system is remarkably small,” Meltzer says. With a large number of Indians working in Africa, there is a huge possibility of the disease entering India. The Union Ministry of Health and Family Welfare says it has put in place the same surveillance and tracking systems to check Ebola that proved successful in Nigeria. Thermal scanners have been set up in most of the 15 major airports and more are likely to be purchased and installed. Harsh Vardhan, who was then Union health minister, claimed that India already has an Integrated Disease Surveillance Programme. According to Vardhan, the National Institute of Virology at Pune is equipped to handle the testing work related to Ebola virus and the Delhi-based National Centre for Diseases Control can conduct molecular diagnosis. But these measures may still not be enough because the disease has a long incubation period and the patients could travel away from the cities where arrangements for observing their health have been made. “India has a huge population, and urban centres are very densely packed. This could pose a challenge because it would be very difficult to isolate patients and trace their contacts for observation. These elements could make containing Ebola more challenging in India than in some other countries,” says Peter Piot, co-discoverer of the Ebola virus and director of the London School of Hygiene & Tropical Medicine. “Countering threats like Ebola requires a certain depth in health services and this is poor in India,” says Rajib Dasgupta, chairperson of the Centre of Social Medicine and Community Health, Jawaharlal Nehru University, New Delhi. Most Indians coming from Africa have rural links, he says. But arrangements to observe suspected Ebola cases are virtually absent in rural areas. “You cannot quarantine everyone on the basis of suspicion and these people will move to villages,” he says. The Ebola surveillance system set up by the government is similar to the one established to control SARS. 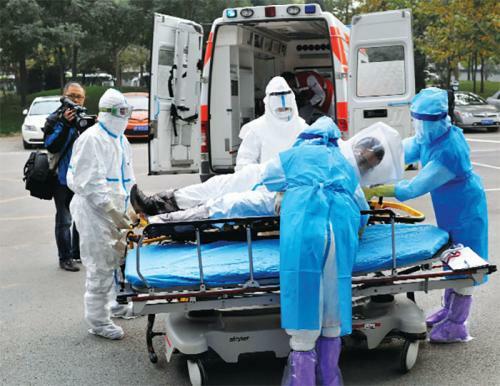 But in the case of SARS, suspected cases came from Hong Kong and China and were mostly based in urban areas in India where medical facilities are available. MALARIA IS caused by a protozoan pathogen of genus Plasmodium. The female Anopheles mosquitoes act as a vector for the protozoa and are responsible for its transmission to humans. Studies from numerous countries, especially Asia, Africa and South America, have explained how ecological changes affect the density and distribution of Anopheles mosquitoes as well as the link between vector ecology and disease incidence. Still, the exact mechanism linking ecosystem change, vector ecology and disease transmission is unclear. This is despite malaria being a relatively well-studied disease. Malaria is one of the world’s leading killers, with 584,000 deaths attributed to it in 2013. In 2014, malaria was reported from 97 countries. Nearly 3.3 billion people around the world are at risk of contracting malaria, of whom 1.2 billion are at high risk. The incidence of malaria has shot up in the past 60 years as tropical regions have undergone “development”. Forest-clearing activities are known to affect Anopheles ecology by altering vital microclimatic factors, such as shaded area, rainfall, air movement and humidity, which can affect mosquito populations both positively and negatively. Forest clearing for rubber plantations in Southeast Asian nations of Malaysia and Thailand increased the numbers of major malaria vectors. In Malaysia, deforestation in the early 1900s changed sunlight availability at the ground surface and created breeding places for Anopheles macalatus, the local malaria vector. As its population rose, so did the frequency of incidence and the severity of malaria. Over 50 years cyclic malaria epidemics were observed in sync with rubber planting. A similar correlation was observed in Thailand, where deforestation was accompanied by a rise in the numbers of local malaria vector Anopheles dirus. P knowlesi, another malaria-causing parasite, is now being reported among people who live close to forest areas. Interestingly, afforestation has been used successfully in Italy to mitigate the transmission of malaria. A remarkable feature of the relationship between the carrier Anopheline species and ecological transformation is that different variants of the species respond differently to the same change. In Sri Lanka, deforestation for irrigation and paddy cultivation affected eight kinds of Anopheles mosquitoes. The effect was seen not only on species density and distribution but also on disease transmission. In all, four Anopheles mosquitoes were seen to play active roles in malaria transmission to humans over different stages of paddy cultivation. As a corollary, similar changes in forest cover and land use can have dramatically different effects on local vectors. Forest clearance for coffee plantations caused high rates of malaria transmission in southeastern Thailand, but eliminated the principal vector in India’s Karnataka state. Checking malaria in forest areas is not easy. Valsad, the southern district of Gujarat, has been grappling with malaria in its forest areas for many years but the number of cases has been rising steadily. The reason for the upsurge is not known. Usually, malaria cases rise as mosquitoes develop resistance to medicines. “But this does not apply to forest areas where people hardly use medicine. Surveillance is usually poor because they are sparsely populated,” says R C Dhiman, scientist at the National Institute of Malaria Research in Delhi. Two of Valsad’s five blocks, Karapada and Dharampur, which occupy maximum forest area in the district, accounted for 83.4 per cent of the total malaria cases in Valsad in 2012. 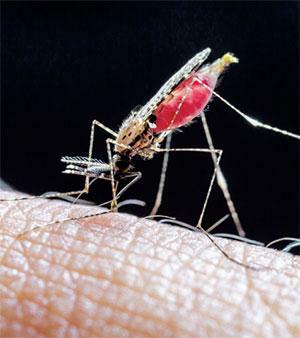 “Containing malaria in forests is tougher than in other areas. Rains create pools of water in which mosquitoes breed. It is not easy to find each pool in forest areas and spray medicine there,” says A S Sanghvi, chief district health officer. AFTER GETTING the fever Raghava continued to work; he had no source of income other than the `200 per day he makes on areca plantations in Padre village of Kerala. But he took five days to do what he otherwise would accomplish in three days, even two. That’s the peculiarity of chikungunya; its lingering debilitation takes away the victim’s productivity and hits family income for weeks or months. Two mosquito species, Aedes aegypti and A albopictus, are known to spread the disease-causing virus in India. They breed in small collections of water, like in tree trunks, leaves (areca’s are quite good), coconut shells, discarded cups. Had the mosquitoes been prevented from breeding, the family would not have suffered. The question is what needs to be done to prevent mosquito breeding and who should have done it? It is a great administrative challenge indeed, but not impossible. Across the Indian Ocean, the French territory of Reunion Islands, which in 2005 saw the first major chikungunya outbreak in three decades, has done it. The authorities there have developed a surveillance system, which gathers data on mosquito density in every area. Such data when fed into scientific models can predict where the next outbreak might occur. In July 2007, WHO’s south-east Asia office suggested developing an early warning system for chikungunya based on GIS (geographical information system), a technology that combines a set of data using a software to locate data points on a map. But India is yet to do anything about it. It is not for lack of technology. M Irfan-Ullah, senior manager of RMSI Pvt Ltd in Noida, says the technology is available. He has even prepared three maps using the GIS-based modelling to predict chikungunya-prone areas. One map is based on environmental conditions and the other two on mosquito spread. Most parts of the country have suitable conditions for the disease to spread, with the Northeast, Odisha, Chhattisgarh, Andhra Pradesh and West Bengal particularly at risk. The Northeast is extremely vulnerable because of the prevalence of the prolific A albopictus, says late V P Sharma, former director of the National Institute of Malaria Research, Delhi. Some parts of Rajasthan, Jammu and Kashmir, Bihar, Haryana, Punjab and Uttar Pradesh appeared safer on the prepared map. When the map was shown to A Townsend Peterson, distinguished professor, ecology and evolutionary biology, Kansas University, USA, an authority on modelling diseases, he suggested that modelling the vector along with the disease would give a better picture of chikungunya’s advance in India. So Irfan made another attempt to map the distribution of both the vectors of the virus, using whatever little data was available. The projected scenario turned bleaker. Uttar Pradesh, Bihar and Jharkhand, earlier believed to be relatively safe, were at a higher risk. So the first thing the administration can do is help improve the prediction model. “Lack of reliable data on the spread of mosquitoes was a major limiting factor in building the model,” says Irfan. Better maps can be made using information on the density of larvae, mosquitoes and the virus, says Sham Davande, a GIS specialist at RMSI. Data on the vectors’ ability to transmit the disease and susceptibility of people can help predict the spread of the disease in a community and even help pinpoint the time when an outbreak could become an epidemic. The country lacks the infrastructure and manpower to collect information on the distribution of mosquitoes. Take the example of Kerala where most of the districts, including Kasaragod, do not have an entomologist to monitor the mosquito breeding areas to see that their numbers do not cross the critical level. Monitoring chikungunya is not just an administrative challenge. Studies show changing symptoms of the disease. Though fever and pain in the wrist and ankle are common symptoms, some also get body rashes or their nose and ears turn black. Some vomit or get loose motions. Mouth ulcers, giddiness, itching, scaling of the skin are also observed. This is because the virus and the vector are changing. When researchers at the Vector Control Research Centre (VCRC), Puducherry, analysed the virus from the 2006 and 2007 epidemics in Kerala, they found a mutation that enabled the virus shirk its dependency on cholesterol in the mosquito’s body for multiplication. This is one of the main reasons for the spread of the disease in Kerala where the prevalent mosquito, A albopictus, does not have enough cholesterol. Besides, it is said that once a person is affected by the virus, he or she becomes immune to it. Mohanakumar Y S, a doctor in Kasaragod, says this is no longer the case. His patients get affected again and again. “New symptoms like conjunctivitis, mouth ulcers and skin rashes are common and continue for long,” he says. Could this be another disease? Has the disease changed its form? Mohanakumar has written to the district authorities and the Indian Medical Association, asking these questions. These changes have made diagnosis difficult. Already all kinds of fever during an outbreak get dubbed chikungunya because the National Institute of Virology (NIV) in Pune is the only lab in the country with the authority to confirm chikungunya. There are also gaps in our knowledge of the vector and where the virus survives between epidemics. 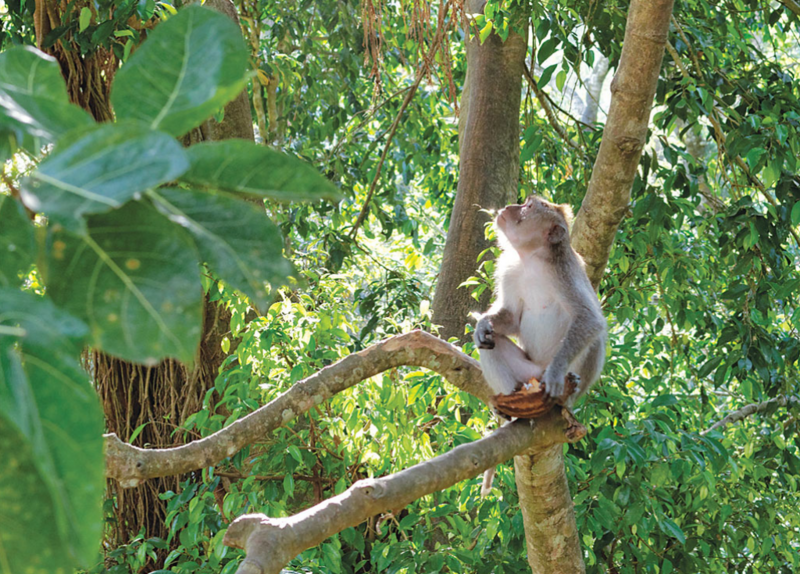 While studies in South Africa and the Philippines have shown that primates could be harbouring the virus, N Pradeep Kumar, in-charge of the VCRC unit in Kottayam, says there could be more than one vector. VCRC is studying another mosquito, Mansonia, known to transmit the disease in other parts of the world. The government claims the disease does not lead to death. Doctors in Kasaragod do not agree. A study by the Indian Institute of Management, Ahmedabad, backs their observation. The researchers studied the 2006 epidemic in Ahmedabad, where 60,777 people were affected by chikungunya, and compared mortality rates in the region from 2002 to 2006. They found 2,944 excess deaths had occurred in 2006. The study was published in the March 2008 issue of Emerging Infectious Diseases. Some initiatives are on in Kerala to tackle the challenge. VCRC has set up a lab in Kottayam, which is monitoring mosquitoes for the presence of the chikungunya-causing virus. NIV too has set up a unit in Alappuzha for timely identification of the fever cases. Forest ecosystem serves as the perfect habitat for many arthropods and insect vectors, which help transmit pathogens that cause diseases in humans. In recent years, a number of such diseases have emerged and re-emerged in India. Of late, cases of cutaneous leishmaniasis have been reported from Himachal Pradesh. This is when the known focus of the disease is western Rajasthan. A sandfly, Phlebotomus salehi, acts as the vector of the protozoan parasite that causes the disease, while Meriones hurrianae, a desert rodent found in rural areas, acts as the reservoir. The detection of a new focus of cutaneous leishmaniasis from Himachal Pradesh suggests increased human-to-vector contact due to deforestation and construction activities in the area. This form of leishmaniasis has also been reported from Kerala, Assam and Haryana. This highlights the need to study the role of zoonotic reservoir and epidemiological investigation in other areas where the disease could exist. Vectors of malaria, Anopheles dirus and A mimimus, prefer forested ecosystem in Northeastern part of the country. In 2004, scientists reported about a fifth parasite of malaria, Plasmodium knowlesi, which they said was prevalent in the Kapit Division of Sarawak forest in Malaysian Borneo. Its natural cycle is supposed to be between mosquitoes and wild monkeys. The number of infections caused by P knowlesi was much higher in monkeys than in human beings, suggesting its zoonotic origin. Recently, while studying drug resistance in P falciparum in the Andaman and Nicobar Islands, scientists found that malaria patients were co-infected with P knowlesi. In the Andaman and Nicobar Islands, people live close to forest areas. So the authorities need to understand the role of monkeys in the transmission of malaria caused by P knowlesi before planning preventive and control measures. The study also emphasises that in South Asia, a larger population might be at risk of P knowlesi infection and such co-infections with P falciparum would warrant reconsideration of malaria drug policy. At present, the Indian authorities do not have a specific control plan to tackle these “forest-originated diseases”. Inter-sectoral coordination between forest, agriculture and health departments is required for identifying the hot spots of forest-related zoonotic diseases with specified ecosystem through research and for prevention and management. Development of facilities for studying the virus, awareness about symptoms of new emerging zoonotic diseases, differential diagnosis, risk factors (climatic, ecological, and socioeconomic), mapping of disease-specific vulnerable areas, and mathematical modeling for projecting epidemiological scenario is needed for preparedness. We need to understand the ecological link of zoonotic or anthroponotic diseases for updated risk maps and epidemiological knowledge for effective preventive and control measures. Each disease and the habitat of reservoirs of infection, vectors and vulnerable areas have also to be contextualised from the point of view of climate. As there is no routine surveillance for most of the zoonotic diseases discussed here, emphasis should also be given to periodic serological surveys for detection of evidence of arbovirus infections in vulnerable areas in a systematic way. Reporting of epidemiological data in the public domain should also be augmented for neglected diseases like scrub typhus, West Nile virus, Crimean-Congo haemorrhagic fever and cutaneous leishmaniasis. With the advent of tools like satellite remote sensing, geographic information system, and mathematical modelling in better understanding of disease epidemiology, it is possible to detect and identify ecological niche at finer resolutions and map and project the current as well as potential risk of the diseases, which have ecology-driven epidemiology. Creation of facilities for laboratory diagnosis of pathogens, awareness in the communities about symptoms of diseases, and health education for source reduction of vectors’ breeding wherever possible, should be thrust areas for preventing vector-borne zoonotic diseases.